Europe has been the chief arena of revolutionary passions since the end of the eighteenth century. During this same period, and right up to the beginning of the twenty-first century, the non-European world, too, has resonated with coup attempts and revolutionary turmoil. How does one begin to understand these revolutionary passions? To what extent are they influenced by European matrices? Have these revolutions also themselves resulted in ‘exportable models’? Three French writers look at three continents—Latin America, the Middle East and India and interrogate the revolution, with reference to and dialogue with the definitive work of Francois Furet, who wrote The Passing of an Illusion: The Idea of Communism in the Twentieth Century. Interestingly, the original French book Passions révolutionnaires was written in 1995, just after the fall of the Berlin wall. Whether nationalist, religious, proletarian, international, anti-colonial or simply liberty and equality, whether violent or fought passively, the Revolution as a concept and a fact, whether past, present or future, remains a critical reference point for our societies. Giles Bataillon- Cuba & Nicaragua. Two Revolutions: Cuba (1959) and Nicaragua(1979). 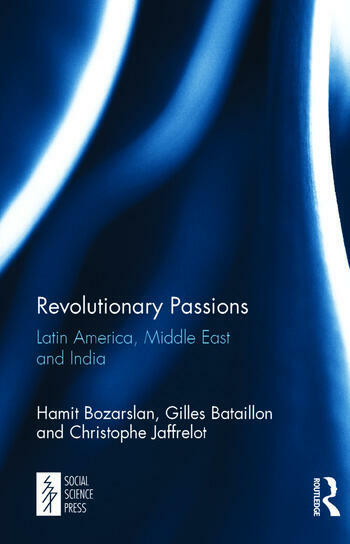 Hamit Bozarslan- What is Revolution All About? Postscript: Reflections. Hamit Bozarslan is Director of Studies at EHESS. His work is primarily on the Middle-East. He is the author of L’Histoire de Turquie Contemporaine (The History of Contemporary Turkey), 2007. Giles Bataillon is Director, Studies at EHESS and Associate Professor at CIDE, Mexico. His area of expertise is Latin America. His recent publications include Cruzados seculars, 2012. Dr Christophe Jaffrelot is Research Director at CNRS and teaches South Asian politics and at Sciences Po (Paris). His publications include The Pakistan Paradox: Instability and Resilience, and India’s Silent Revolution: The Rise of the Lower Castes in North India, and Dr. Ambedkar and Untouchability: Analysing and Fighting Caste.